Small, light-weight carry pistols and revolvers are the hottest selling handguns on the market right now. 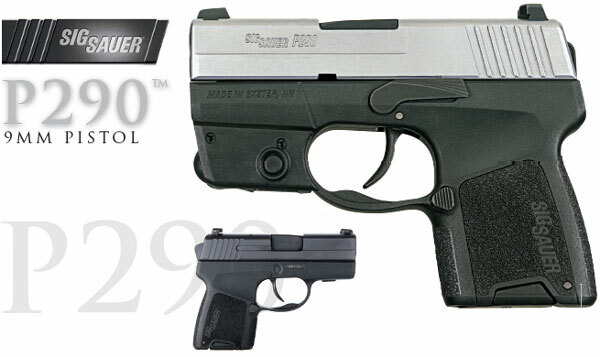 Ruger’s .380 ACP and 9mm carry guns have been hugely successful, generating revenues that have helped push Ruger’s stock price up 500% since 2009. 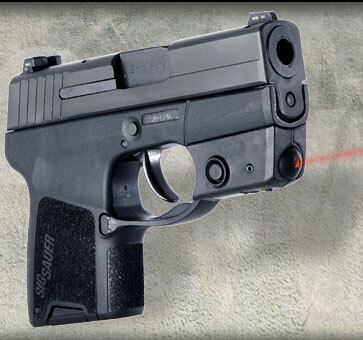 Now Sig-Sauer is getting on the bandwagon. 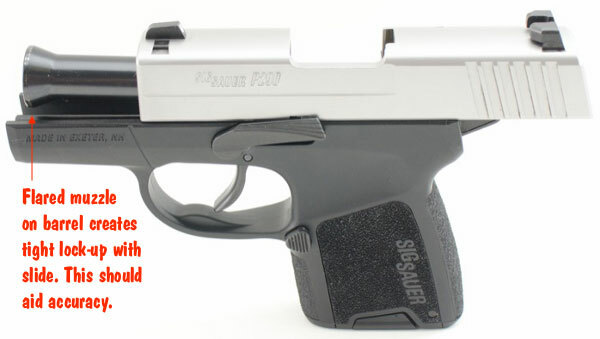 We had a chance to look at Sig’s new-for-2011, P290 compact 9mm carry pistol. Overall, our reaction was generally favorable. The P290’s fit and finish are excellent — as you’d expect from Sig. Keltec’s PF-9 compact 9mm seems downright junky by comparison to the Sig P290. And the machining and fit of the slide and barrel on the Sig seem superior to the hot-selling Ruger LC9. 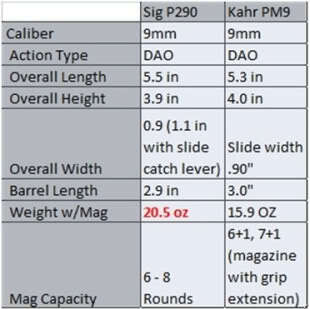 In a nutshell, here’s how the new Sig P290 stacks up to the competition — it is better crafted and more reliable than the Keltec PF-9, it is more reliable than the Ruger LC9 (which has had recall issues), and, with its optional integrated laser, it is a more complete package than the Kahr CM9 and PM9. However, the P290 is not without its flaws. We wish the grip was a little longer — and other reviewers agree. Also the trigger pull, listed at “9.0 lbs. average”, is just too heavy in our opinion. We know that Double-Action-Only (DAO) carry pistols like this need high pull weights to satisfy the lawyers, but the P290 pull weight is extreme. Most people will have trouble getting best accuracy out of the gun because of the heavy trigger, which one tester measured at 12.5 pounds. CONCLUSION: The Sig P290 is a well-designed, nicely-made pistol in the super-small 9mm carry pistol category. However, for this writer, I wouldn’t want to carry the gun unless the trigger pull could be reduced to a reasonable weight for a DAO application (the trigger pull on the Kahr PM9 is much better). I would also wait until the optional magazine with grip extension is available. In the meantime, when the situation calls for a very small, light carry gun, I’ll stick with my older S&W model 638 revolver. We do suspect that, despite its shortcomings, the P290 will attract many buyers based on Sig Sauer’s reputation for quality. But the P290 costs more than most other small, polymer-framed 9mms, and price may be the deciding factor for many buyers. Share the post "First Look: Sig Sauer P290 9mm Carry Pistol"